Congratulations to @pippaquilts, giveaway winner! NANA ZOOLAN was featured in last week's paper lighting round up and today I'm delighted to host a giveaway of one their modern Akordion lampshades. 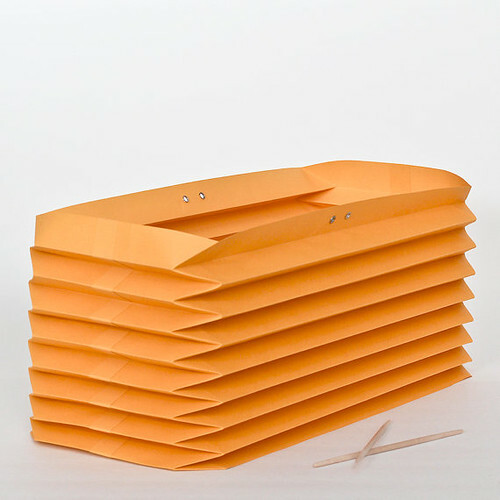 Anna and Bryan create each shade by hand, folding and adhering two flat sheets of high quality, colorfast, and acid-free paper. 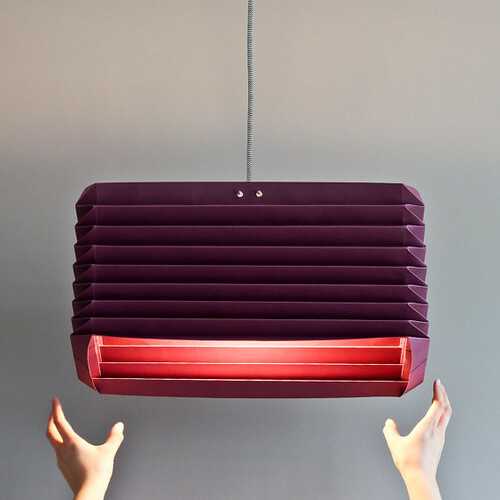 The 18.5” x 8” x 8” (47cm x 20cm x 20cm) lampshade arrives flat, but fully assembled. Instructions are included for mounting it to an IKEA Hemma light or similar fixture by utilizing the hardwood mount. Anna and Bryan recommend an LED bulb for durability, no mercury, and low heat emission. and attractive place cards and table cards, so nice for birthday celebrations, baby and wedding showers, bon voyage parties, you name it. 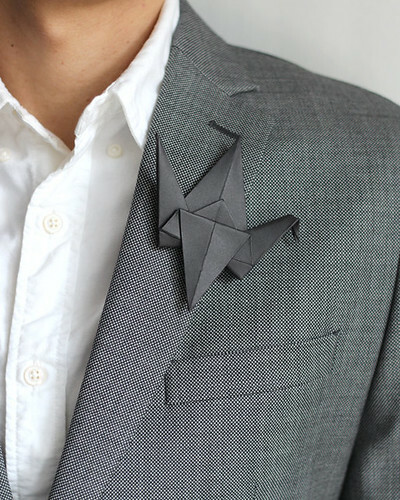 Origami hearts and cranes are folded from authentic Japanese chiyogami for use as cake and cupcake toppers, greeting card decorations, and garlands. 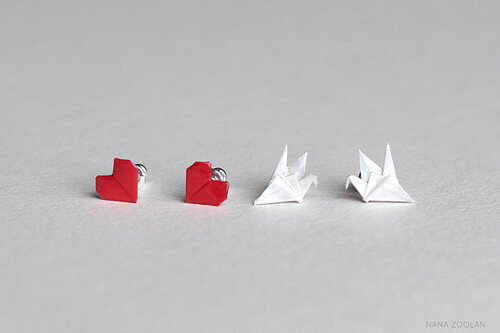 They even make tiny heart and crane earrings. Now about that giveaway! 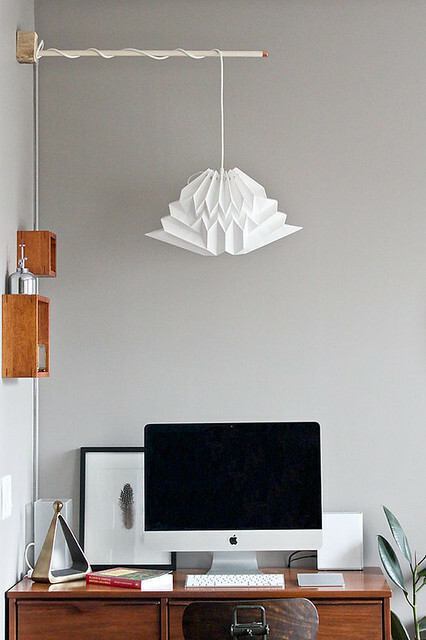 Anna and Bryan will be sending an Akordion lampshade in color of choice to one lucky winner. This offer is limited to U.S. and Canada residents. 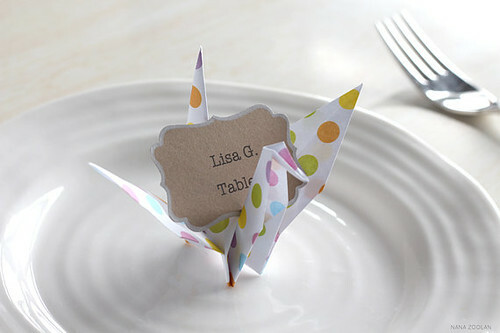 Color options are plum, navy, yellow, white, blush, and textured grey. To enter, simply leave a comment on this post through Sunday, June 7. Please be sure to include a way to be contacted within your comment. To earn a bonus entry, like the Instagram giveaway photo. The winner will be chosen by a random number generator and announced here and on Instagram as soon as he/she has been contacted. Good luck! Oh, and in case you are wondering (as I was) about the shop's name, NANA ZOOLAN is a mashup of Anna's first name and Bryan's last name - catchy! They sure are unique and modern. Thanks for a chance to win something this nice. So lovely. 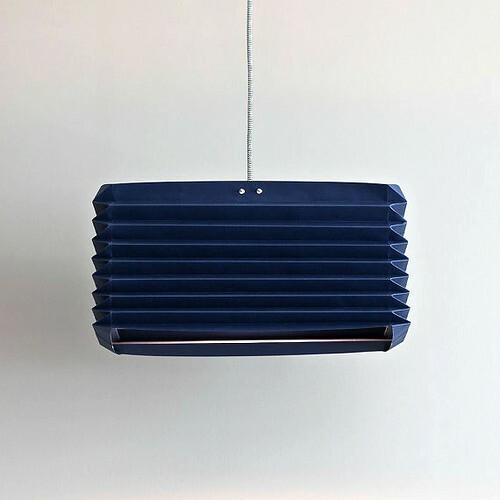 The navy lampshade is so striking! These lampshades are incredible. Love it, thanks so much. Sweat a great design. Would love to have one like this. Pick me! Pick me! These are awesome...I love blue! following and liked the picture on instagram. I am simply amazed at all the things you can create with a medium that has been around forever. These pieced are simply stunning. Love this! 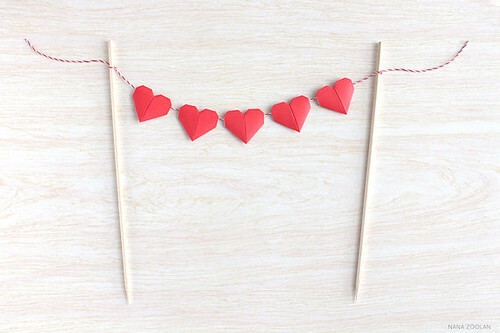 Redecorating our home so this would be perfect! All these pieces are so lovely and simply stunning. Thank you so much for giving us the chance to win! And I liked the giveaway post on Instagram (@sassybrinaa). These pieces are gorgeous! Wish I had that level of talent. Love love LOVE that lampshade!! What a clever idea. I love the look! These lampshades are fantastic! Would go perfectly with my Asian modern furnishings! This lampshade is so cool! If I was the lucky winner, I have the perfect spot for it!! Thank you so much for offering this giveaway! What incredible shades! I love this web site! These are just so darn cool. My daughter is really good at origami. 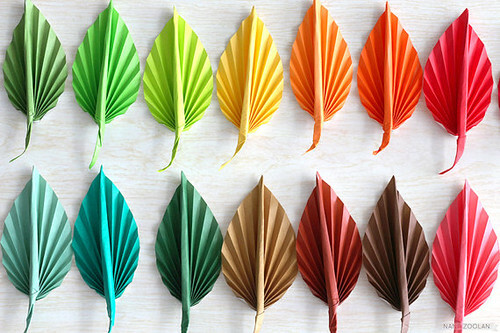 Isn't it amazing the unique items that can be made with origami!! Very different very illuminating! Would be a conversation piece for sure. My daughter really likes the white origami lampshade at the bottom. I'm sorry, Dana, your comment didn't make it in in time to be entered, but stay tuned for future giveaways. The giveaway has ended. 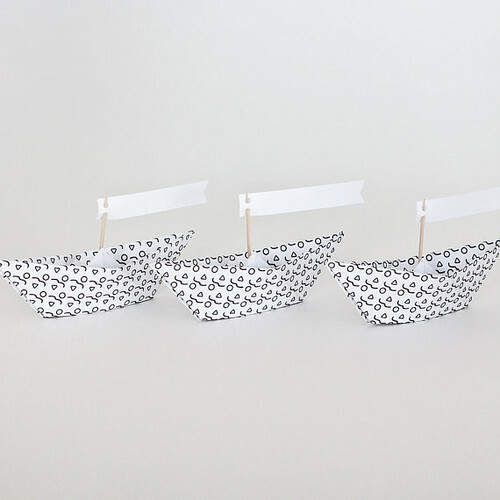 Thanks for your enthusiasm for NANA ZOOLAN's lampshades!